Everyone has gone through joint pains at some point in their life, be it minor pains or a more severe re-occurring pain. There are many reasons why joint pains appear, they are most common in elderly people as the body stops producing natural chemicals that help prevent joint pains. Physical injuries can also lead to joint pains, and can later lead to arthritis if not treated correctly. People that work in very physically demanding jobs suffer from joint pains as they put great pressure on their muscles, luckily these pains can be soothed with a warm bath or a steam room as the heat helps warm up the body and improve blood flow through the joints. 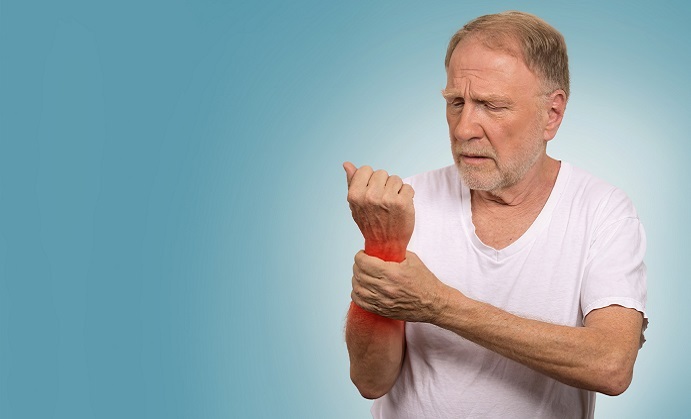 Consulting a doctor is important to do when a joint pain can be felt as said before even the slightest injury can lead to arthritis, once arthritis forms it can be very hard to stop, and the symptoms are troublesome to treat in later cases. Hot compresses are a very common and simple solution for arthritis pains, as adding one to the area improves the circulation of blood in the area, helping to ease the inflammation; however some forms of joint pain can make the area warm and reddish, in these cases a cold compress can be used to help stop the pain. Anti-inflammatory medicine also exists and can often be purchased over-the-counter at any super market or pharmacy, these help in the short term by reducing the pain, but will unfortunately not help aid the recovery of the joint as much as other methods. Anti-inflammatory creams also exist that can be rubbed over the area to help decrease the inflammation. Gout is another type of arthritis that causes inflammation to the joint, it is caused when the build-up of uric acid, and is most commonly found on the big toe, but it has been known to appear over the lower region of the body, luckily this type of arthritis only lasts several days. Treating gout can be achieved by exercising plenty and avoiding foods that are rich in uric acid. Doctors will often help patients with simple treatments before moving onto medication, beginning with daily exercise routines and diet, if this does not work medicine will be prescribed to help ease the pain of the inflammation, and if the joint deteriorates too much surgery may be needed to remove or replace the joint. These are just several forms of treatment patients receive from doctors when diagnosed with arthritis, there are many other ways and plenty of natural remedies that have been used for years. Consult a doctor if suffering from joint pains to learn more about the condition and figure out what treatment will work best. There are over one hundred different types of arthritis making it important to not attempt to self-diagnose.